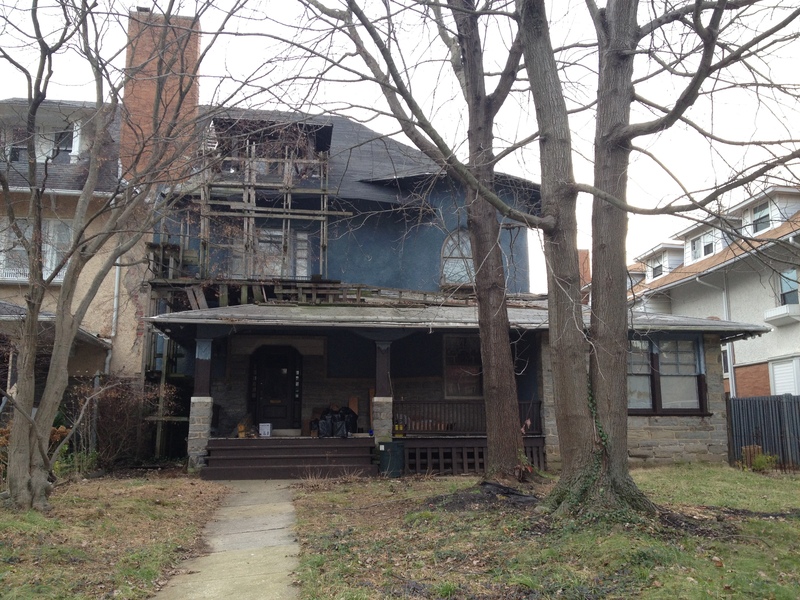 Not quite sure if this is abandoned, but this once-grand home in Overbrook Farms was submitted by a local who observed the “scaffolding” and otherwise decaying nature of the facade. This entry was posted in Community by Stephen Arrivello. Bookmark the permalink. Sadly, this property has an owner who lives there, but has been “working” on the house for at least 20 years. I actually saw a groundhog come out of the side enclosed porch yesterday.